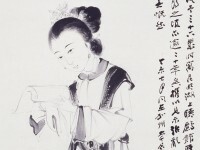 Liu Zhengcheng (born 1946) is a self-taught calligrapher. He was assistant editor of a Sichuan province cultural journal, then member, later secretary, of the Chinese Calligraphers Association. 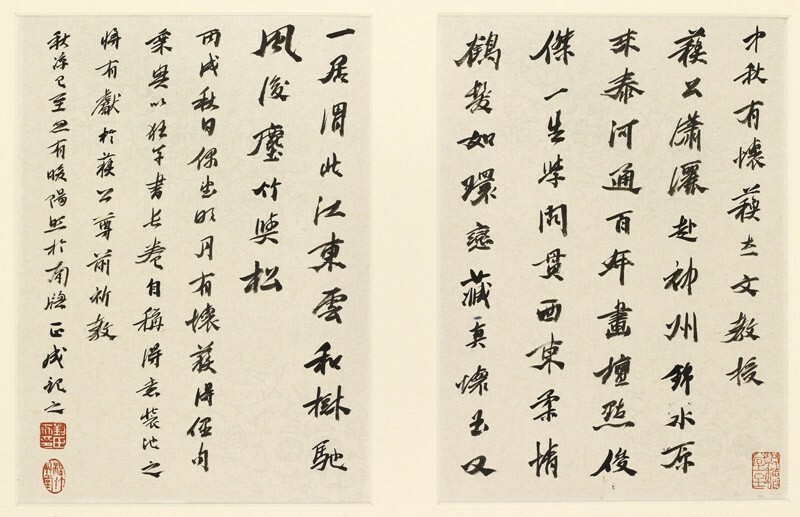 In 1994 he was appointed Professor in the College of Calligraphy at Peking University. He has since founded the International Calligraphers Association. This piece was a gift from the calligrapher to Michael Sullivan (1916-2013) in 2006. 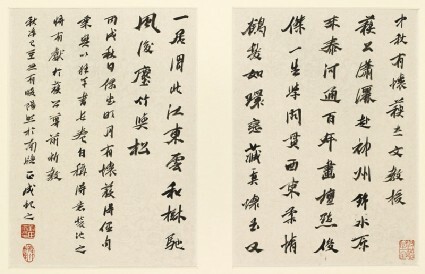 The 56-character poem in the main text summarizes and admires Michael’s career and life which crossed the East and the West.